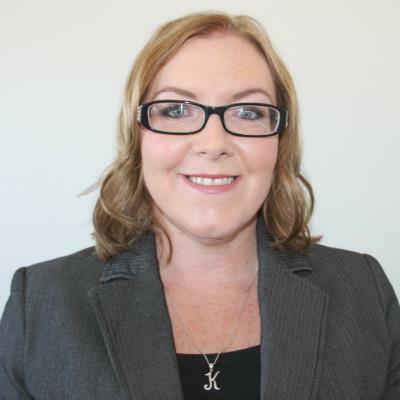 Kelley-Ann Seaton reveals that one of her greatest assets in property management is her love of organising and bringing best laid plans to fruition. In 1994 as a receptionist. Having just finished Year 12 HSC, I needed the money. Being a young adult, I had to support my weekend socialising habits. At that point I had no real career plans (except that I didn’t want to work in real estate). So I guess I joined by default, but after a number of years in property management, I came to love it and just couldn’t stay away. Studying HSC and I also completed a bookkeeping and keyboarding course at TAFE. When I grow up, I plan on becoming an event planner or a travel agent. But for now, in my real estate career, I am keen to remain focused on my own specialised property management only business and ensure our team is always amazing and always improving. My iPhone pretty much runs my day and my life. It does everything I need for an organised business, I have access to it 24/7 (within reason). I use it to call, message, email, calendar/diary, take notes, use the calculator, and access all the apps we need to function with real estate-related software such as IRE MobileROL and our inspections apps. When I don’t have my phone on me, I honestly do feel slightly lost and even somewhat unorganised. Being as paperless as possible, it’s like my personal organiser. Communication is one of the most basic areas of everyday life. But honestly I do find, and also hear outside my office, that PMs lack good communication skills, yet this is where all the complaints come from. If you could offer the most effective communication, the day-to-day running of and management of people and properties would be a simpler task. Learn to listen, absorb, document and then reply. Be available and contactable. Passion – to love the industry, the customer service and dealing with people. If a PM has this passion, they will love coming to work and not feel like they are working. Other qualities are: exceptional organisation and prioritising skills, patience and attention to detail. I think this depends on your office structure. If the office has a designated BDM or leasing consultant, it should start once the property has been leased at the tenant induction or commencement of the lease and end at the conclusion of the tenants vacating, seeing this through and finalising the bond. The BDM or leasing consultant would need to feed in with the PM in the pre-leasing and re-letting stages. I also think the PM should start at 8:30am and finish by 5:30pm and work a Monday to Friday roster only, unless by appointment on Saturdays, to attempt to create a good work/life balance. Calmly, quickly and quietly. Wherever possible, I would ask the tenants to meet face-to-face, preferably in our office (not in the foyer though) and arrange to resolve their concerns as fast and effectively as possible. Don’t sit on the problem waiting for it to roll over, because it won’t – it will only escalate and end up on a Facebook feed for all to see. If you listen to their problems first, they can actually be quite shocked that you’re listening and are calm about it, and then you could reach a quick resolution. I would explain to these types of tenants that they have my undivided attention as I would like to help them to have a win-win situation. That usually works and makes them happy. Event management or travel planner, most likely. I love organising special events and travel or weekends away, and ensuring that everyone attending is well catered for, looked after and has a great time. The joy I get from watching my organising unfold exactly to plan and to be told, ‘you’re in the wrong industry’ after each event is, in a strange way, nice to hear, so I guess I would be keen to give it a try and be paid for it. I’m a bit of a perfectionist, so everything is always well-planned! Every day is different – a property manager’s day is never the same. Yes, there are many daily set tasks, but different people come and go, and there are lots trials and tribulations in this field. It’s certainly never boring. In fact, it’s often bordering on crazy, but it’s lots of fun. Not just for me personally, but for all property managers and business owners, I feel vacating and finalising a tenancy is the most stressful task – conflict resolution at the end of a tenancy is never fun. Residential property management would be better if tenants paid a cleaning fee (like they do for a holiday management) in addition to the bond and, regardless of how well the property was left, the cleaning was 100 per cent compulsory because it’s very seldom "cleaner than when I moved in". The most stressful part of the vacate process is when the tenants have been amazing during the whole tenancy and they would happily refer and recommend your agency to others, yet when they move out they are often stressed by other contributing factors of moving, unrelated to the vacating inspection or even your agency, so when the agent addresses a vacating issue with them, be it a repair or cleaning, we are somewhat insulting them for the unfinished job that they feel they have already done to their standards, so our remarks are not well-received. All property managers need to be highly trained in this job so it’s dealt with appropriately and leaves a good last impression of your business. Remember that word of mouth and referrals is a great source of new business and bad news travels fast, especially with social media such as Facebook or Google reviews, so the vacating and finalising of a tenancy is extremely important to end everything on a good note. I have a great family, so spending time with my husband and our two boys is good for any work stress. We love to spend time outdoors and live near the beach. We also love fine wine and delicious food, so we enjoy going to a good restaurant. One of our offices is located near the Hunter Valley, so we frequent vineyards to source local award-winning wines and keep the wine shelves well-stocked, so stress is always fixed promptly if it occurs. No complaints, happy and appreciative customers and staffing team, gaining new business, receiving referrals, zero arrears and to always be positive, because negativity attracts negativity and no one needs that.